Just before Big Changes went in the starting gate for Saturday's Sunshine Millions Turf, one of the Gulfstream commentators mentioned that he was a little bit worked up. Neither Landers nor the betting public was surprised, then, when the 6-year-old gelding flew home to win by 1 ½ lengths, paying $3.60 to win under Javier Castellano. Four years ago, however, Landers would have been shocked to learn that Big Changes would become a multiple stakes winner. The owner paid $170,000 for the son of Midshipman as a 2-year-old at the 2014 OBS April sale and later sent him out to Del Mar to prepare for his first race. Two weeks before a scheduled start, Big Changes “ran his foot through something” and tore up his leg and hoof. Landers was told the horse may never race again. With some time off, however, Big Changes came around and made his first start in January of his 3-year-old season. It took him six starts over a span of 14 months, but the gelding eventually found the winner's circle in March of 2016. That win happily coincided with Landers giving all his horses in training to “up-and-coming” trainer Brad Cox at the end of 2015. 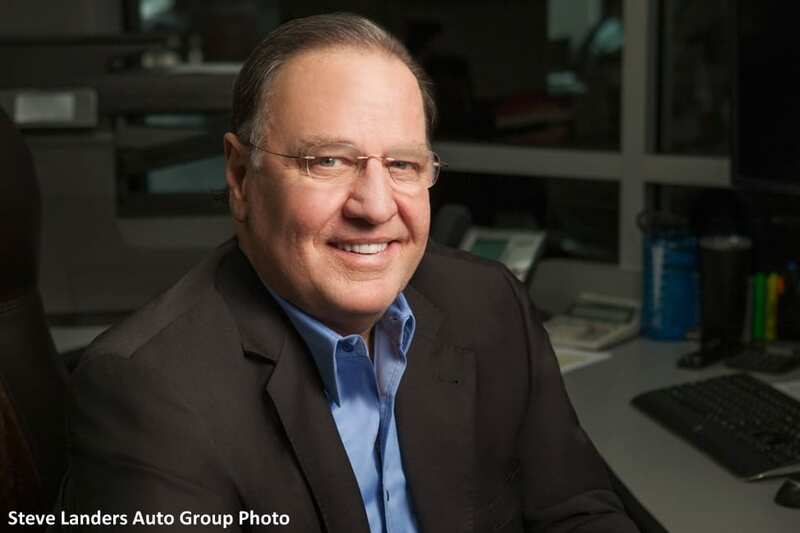 An Arkansas native, Landers grew up buying and selling automobiles. He and his father purchased their own dealership in 1989 and have since grown the Landers Auto Group to one of the largest in the region. Officially, Landers retired from the auto business five years ago. By that, he means he now works 40-hour weeks instead of 70 to 80-hour weeks, helping his two sons with their car-related businesses. His sons don't pay him for his help, Landers lamented, laughing, so he jokes that he had to try to make a go of it in the racehorse business. Landers has found a lot of success with Cox, even winning his first graded stakes and then a Grade 1 to close out 2018. That was with a horse named Leofric, purchased by agent Liz Crow as a lightly-raced 3-year-old maiden for $100,000 at the 2016 Keeneland November sale. Leofric (Candy Ride) won his first three starts for Landers and Cox at Oaklawn Park. In fact, he hasn't finished off the board since Landers bought him. A lot of that success, explained the owner, is due to Cox's decisions to give the horse the time off he needs, when he needs it. Landers is involved in the day-to-day of his 20 or so Thoroughbreds, in that he and Cox talk on the phone every morning around 4:30 a.m. That's when he can get the most time with the trainer, Landers explained, because he's extremely busy throughout the rest of the day. Their relationship is more “father-to-son” than an owner-to-trainer, said Landers. He trusts Cox absolutely, giving him permission to purchase or claim horses without his prior knowledge, even at horse sales. One incident in particular cemented that partnership. “Three or four years ago, we had a horse in the Arkansas Derby,” said Landers. “Brad thought we should lay back and make one run, but I wanted to be out closer to the front. We were in the top three all the way around there, but then all the top finishers came from the back of the field. Of course, with that friendship comes a bit of good-natured teasing. Landers didn't have a firm idea where or when Big Changes and Leofric might make their next starts, but the owner and Arkansas Racing Commissioner is really looking forward to this weekend's opening of the season at Oaklawn Park. He plans to spend Friday and Saturday in Hot Springs, feeding his horses a few peppermints on the backside and enjoying the racing action. “I don't get nervous doing it, because it's pretty much what I've been doing all my life,” Landers said. This entry was posted in Connections, NL List, People and tagged Arkansas racing, big changes, Breeders' Cup presents Connections, Chelsea Hackbarth, Connections, leofric, oaklawn park, steve landers, sunshine millions by Chelsea Hackbarth. Bookmark the permalink.